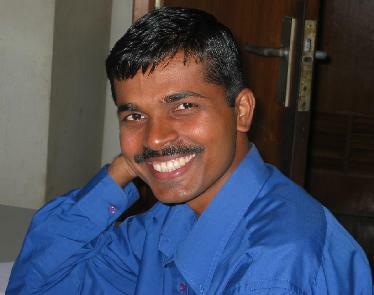 Thesis Supervisor : Prof B. N. Devinthefield of experimental surfacescience. Post Doctoral : Researcher, Microanalytical Research Centre,Universityof Melbourne,Austrailia. Thesis Supervisor : Prof B.N. Devin thefield of Experimental Surface Science. Present Occupation : Since2002, Post Doctoral Fellow, University of Illinois, Urbana Champaign, Illinois, U.S.A.
Thesis Title : Fragmentation Dynamicsin Intermediate EnergyHeavy Ion Reaction. Position Hold: Research Associate,Physics Department, McGill University, Canada. Present Occupation & Address : Lecturer, Nuclear Physics, BITS, Pilani. Present interests : Formation of Topological Defects, Disoriented Chiral Condensates (DCC), Signatures of Quark-GluonPlasma (QGP), Baryogenesis etc. Basically related to studying dynamicsof phase transition and consequences. Thesis Supervisor: ProfAlokKumar. in the field of String Theory and related areas. 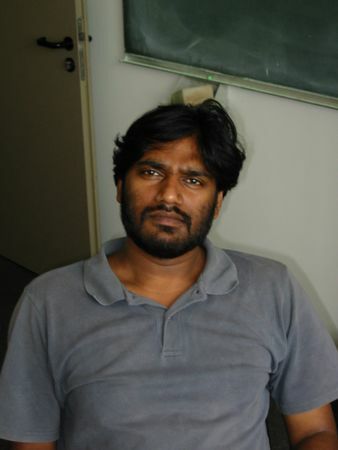 Thesis Supervisor:ProfAjit M. Srivastava tostudy various aspectof phase-transitions in the early universe. Thesis Supervisor:B. N. Devin thefieldof experimental surface science. 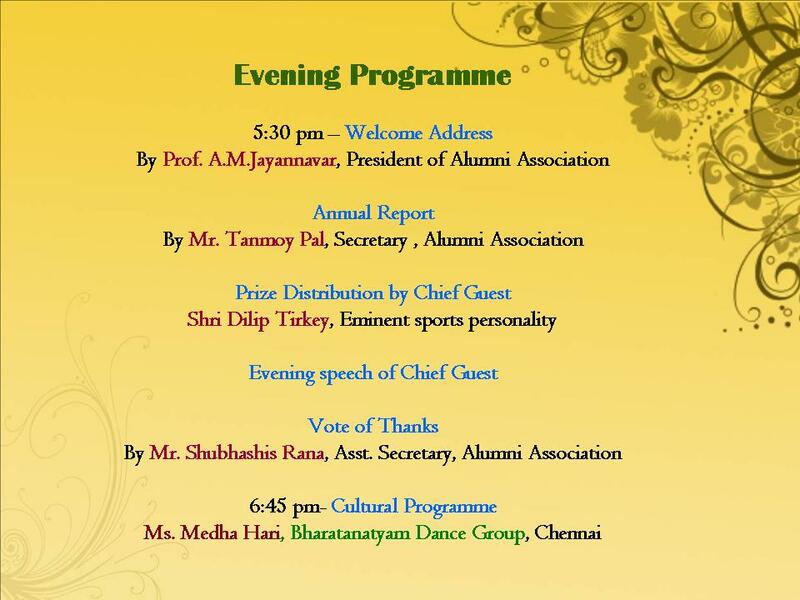 Present Address:C1-114, IIT Campus, Kharagpur 721302. 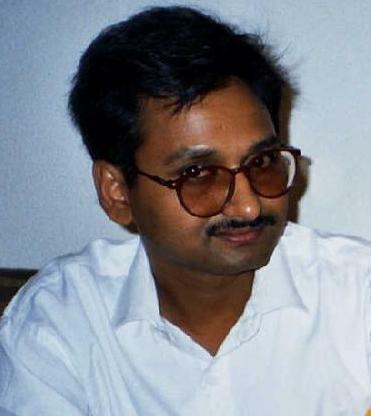 Ph.D.: 1995-97, Worked with Prof. Pankaj Agrawal in computational high energyphysics. Ph.D.: HRI,Allahabad in the field ofTheoretical Condensed matter Physics. Present Occupation & Address : Guest Scientistat Max Plank Institute for the Physics of Complex Systems, Dresden, 01187,Germany. Ph.D.: Did research under the supervision ofProfJ.Maharana in the field of theoretical high energy physics. Hobbies : Major hobbies includearmchair cricket & tennis, and chatting with friends. Present Occupation : Faculty ,Bikram dev College, Jeypore, Orissa. Ph. D. : 2002, IOPB on a new modelof dephasingrelated to quantum stochastic absorption. 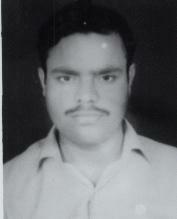 Ph.D. : 1996-1998, Worked with Prof. S. N. Sahuforcouple of years, in the field of nanostructure and related materials. Ph.D. : Working under Prof. B. N. Dev,in thefield of experimental surface physics. Ph.D. : 2002 IOPB in CondensedMatter Physics (Expt. ),I was involved in defects studiesof Ion implanted Semiconductors andInsulators using Pelletronaccelerator. Hobbies: reading and enjoying lifein general. Physics interests: Involvedinsynthesis and characterisation of semiconductor nanostructure(QUANTUM DOT),which are called SUPER ATOM,where electronsinthe conduction bandand holes in the valance band areconfinedspatially by potential barriers-the surfaces of nanocrystal. Ph.D. : Thesis submitted in 2002,in the field of Stringtheory. Present Occupation: Since 2005, Visiting Fellow at HRI, Allahabad, India. Research Interests : I worked with Dr. AjitM. Srivastava ( my supervisor ) on a new scenario of formation of domainsofDisoriented Chiral Condensates in a Heavy-Ion Collision. I have experimentallystudied the Correlated Defect-Antidefect production in nematic liquidcrystals.For this study we used the new Lieca microscope, and wasable to experimentally verify certain crucial features of the underlyingmechanism of topological defectproduction. For the last few days I was workingon a new scenario for topological defect productionwithout phase transition. Present Occupation : Since2005, Visiting Fellow , SINP, Calcutta, Inidia. Ph.D. : University Of Hawaii,USA.Workedin experimental High EnergyPhysics with KEKcollaborators. Present:Post-doc at Stanford Linear AcceleratorCenter(working in BaBar expt). Ph.D. : 2002 , IOPB, in the fieldof Experimental High Energy Physics. Present Occupation & address : Since2002, K.S.K. Research Associate, Variable Energy Cyclotron Centtre, 1/AF Bidhan Nagar, Kolkata -700064, India. M. Sc. 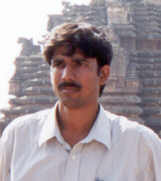 : 1996, Utkal University, Bhubaneswar. Thesis Supervisor : Prof. J. Maharana . Present Occupation: Post Doctoral Fellowat Weizmann Institute of Science. Israel. Hobbies: Some interesting Conversation,Making Friendship(although people may have a different opinion)and Tailoring. Ph.D. : Thesis submitted in 2003 onHighenergy Expt. Thesis Supervisor: Prof. D. P. Mahapatra . Present Occupation:Post Doctoral Fellowat Weizmann Institute of Science, Israel. Ph.D. : Thesis submitted on 2003. in thefield of Particle Physicsand cosmology. Permanent address :- Soma Sanyal,4rb-1/4,Purbachal, phase - II, Bidhannager, Calcutta-700091. M.Sc : 1997, University of Pune, Pune. Present Occupation : Post Doctoral Fellow at Indiana University, Bloomington. Ph.D. : worked with Prof. B. N.Devin ExperimentalPhysics for couple of months. Ph.D. : Thesis submitted in 2004on experimental surface science. Present occupation: Post Doctoral Fellowat Stuttgart University,Germany, since May 2006. Ph.D. : Currently working with Prof. C. R. Praharaj in the field of Nuclear Physics . Ph.D. Thesis: IOPB[Submitted in 2003] in the field of String Theory.